Shocking new details about the death of Dr David Kelly emerged exclusively today on the Alex Jones radio show. 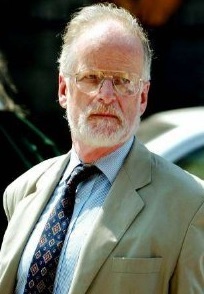 Michael Shrimpton, a UK national security lawyer who was a guest on the show, revealed that sources within MI5 and MI6 are `furious’ that Kelly was murdered. Shrimpton spoke in depth about the details of Kelly’s murder on 17th July 2003, information which has been withheld by the British press. He spoke of the probable method of Kelly’s death, the group which most likely carried out the assassination, who arranged it and finally where the responsibility lies. Additionally, he explained the political context and motive for Kelly’s murder. David Kelly went missing on 17th July 2003 and was found dead on 18th July. In the previous days, Kelly had testified before Parliament’s Foreign Affairs Select Committee that he was not the source of a BBC story which had accused the Government of making false claims about Iraq’s WMD. When Kelly’s body was found, the British press quickly reported it as a suicide, though several analysts had their doubts. On Jones’ show, Shrimpton explained how he had learned that David Kelly was the BBC’s source before the BBC disclosed this fact. He went on to explain that his source from within the intelligence community knew David Kelly personally, and did not believe that he had committed suicide. After making their own enquiries, says Shrimpton, this source determined that Dr Kelly had not committed suicide, but rather had been assassinated. Apparently at ease to discuss these explosive disclosures, Shrimpton explained that there was advance knowledge of Kelly’s death in Whitehall, but that the deed itself was most likely carried out by the French external security organisation, DGSE. There was no indication that anybody in MI5 or MI6 had been involved. He went further by suggesting that the hit squad itself was composed of Iraqis from the former regime’s Mukhabarat intelligence organisation, recruited from Damascus with the help of Syria’s own intelligence apparatus. They were apparently then flown into Corsica, seven days prior to the murder. He doubts that any of the hit-squad are still alive. Officially, Kelly’s body was said to have been found in a copse, in a wood, but the forensic tents were set up in the adjacent field, suggesting, says Shrimpton, that the body was found in the field. This has not been explained to his satisfaction. The incision in Kelly’s wrist was probably to conceal the injection of both Dextroprypoxythene, the active ingredient in Co-Proxamol, and Succinylcholine, a muscle relaxant, rather than as evidence of his bleeding to death, as highlighted by a group of six doctors in letters published in the British press. Shrimpton further agreed with the doctors by pointing out that Kelly only had one Co-Proxamol tablet in his body and that this was not sufficient to kill him. Shrimpton’s appearance on Jones’ show gave him the first public opportunity to bring forward his information, since the story has been effectively censored by the British Press, who according to Shrimpton are concerned about losing the pro-Euro Tony Blair as Prime Minister were they to publish details of Kelly’s assassination. Blair’s departure, he says, could threaten Britain’s proposed adoption of the Euro as the national currency. Whilst this story begins to circulate in the USA, the coverage in the UK may well remain nil, whilst maneuvering behind the scenes attempts to pre-empt Shrimpton’s accusation of government-sanctioned murder of one of its own operatives. This documentary studies the suspicious death of Dr. David Christopher Kelly, an internationally recognized British authority on biological weapons, after his claims before the Iraq war. This entry was posted in Uncategorized and tagged david, kelly, michael, shrimpton. Bookmark the permalink.